Three reasonable pictures so far of a Porsche 928 Gemballa. Stolen form an internet sale. This, I must admit, beautiful car was for sale for US$55.000. That is quit something. 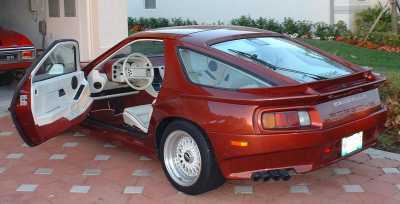 It is a 928 form 1986.